Shown the typo, an engineer for Haeco, a sister company of the airline, was baffled by how such a mistake could have happened. Considering livery paint jobs for aircraft reportedly go for anywhere from $50,000 to $200,000, it seems like they would take a little more care in getting it right, especially with stencils. Considering just respraying the name on the plane would likely cost a bit less, the mistake may have been more of a deceptive promotional move. And here we are, so it worked! 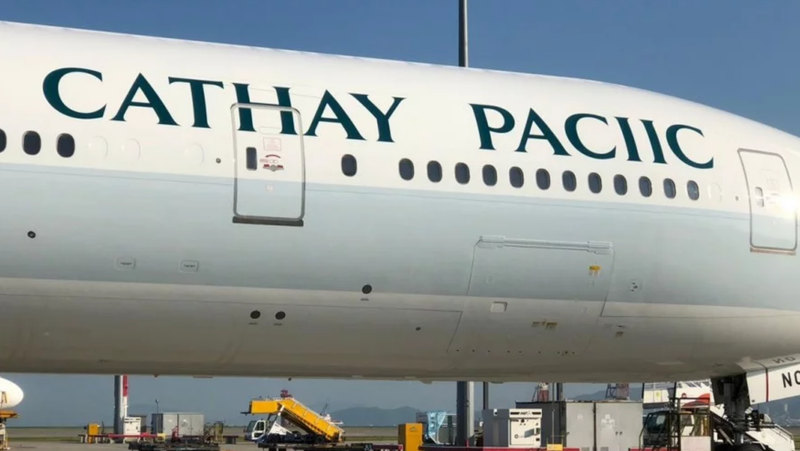 But how would I trust Cathay Pacific’s flight engineers and pilots if I can’t even trust them to get the name right with a stencil? Then again, I once bubbled in my name wrong on a high school scantron test and had to retake it, so who am I to judge.